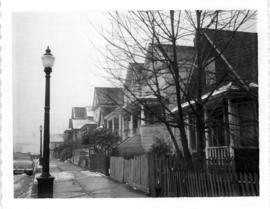 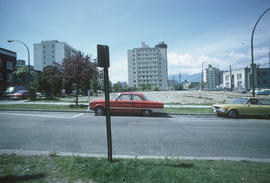 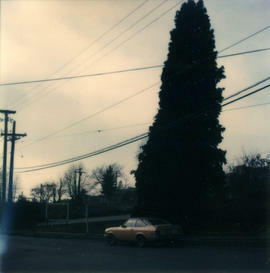 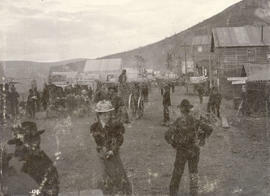 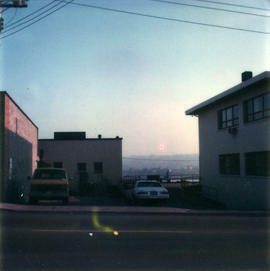 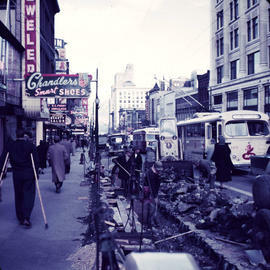 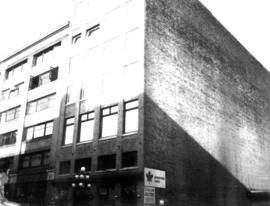 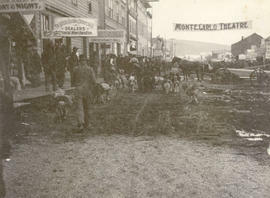 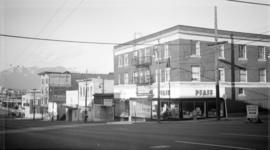 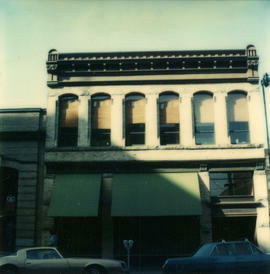 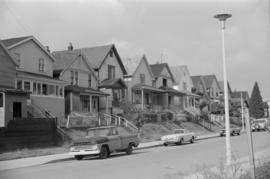 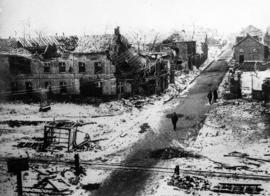 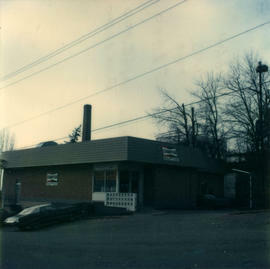 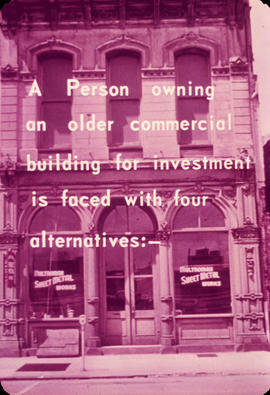 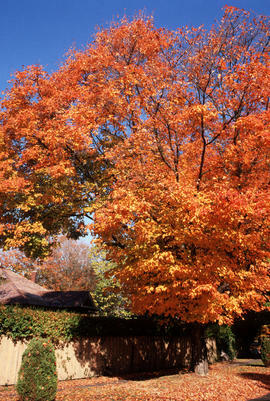 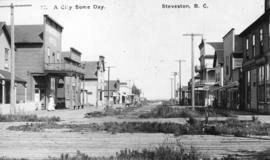 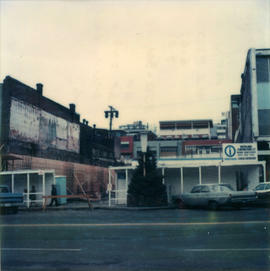 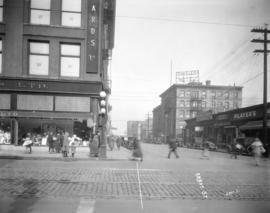 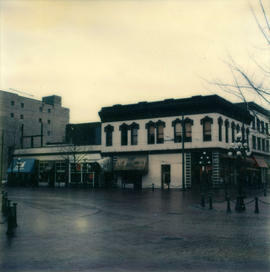 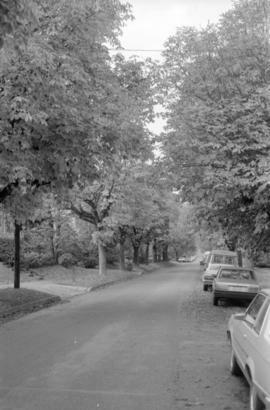 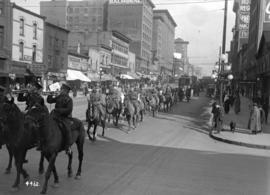 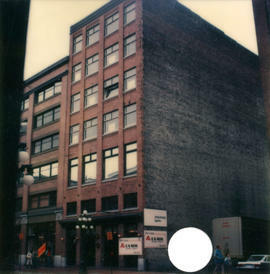 Item is a photograph showing the 600 block of Granville Street. 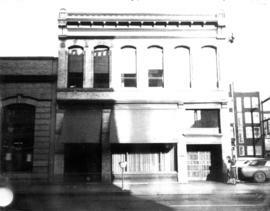 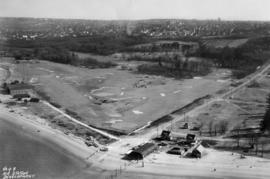 Retail shops pictured include: Chandler's Shoes, Caroline Beauty Salon, Zellers and R.C. 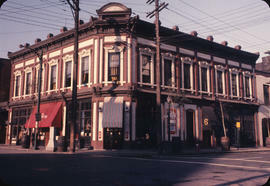 Purdy's Chocolates. 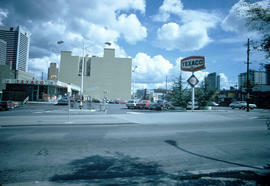 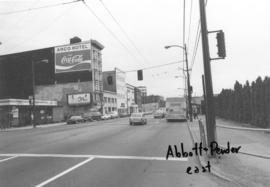 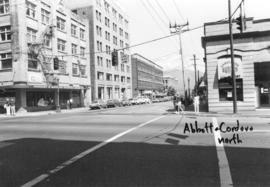 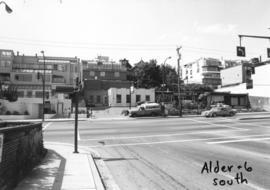 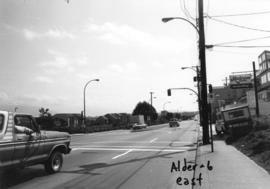 Image shows the Texaco gasoline station at Bute & Robson, and some of the storefronts on the other side of Robson Street. 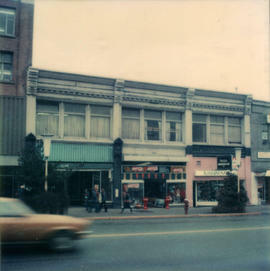 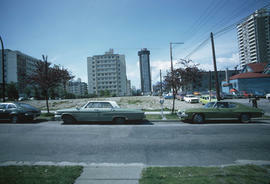 Image shows 1200 block of Robson Street. 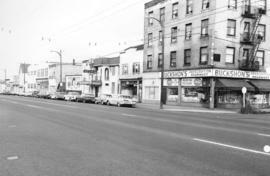 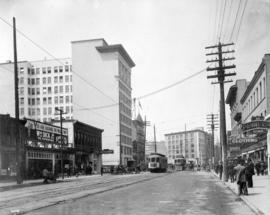 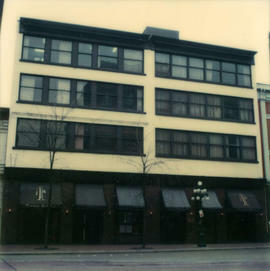 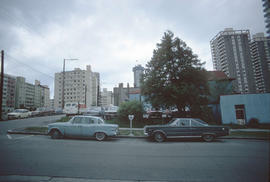 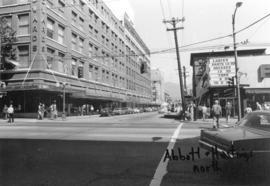 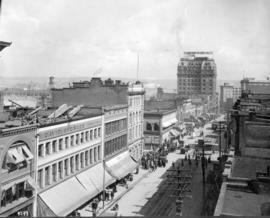 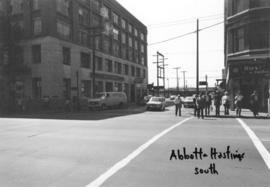 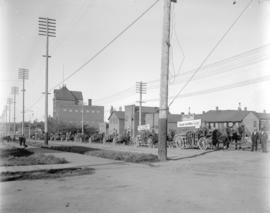 Photograph shows the Holden building, Woods Hotel and other buildings along Hastings Street. 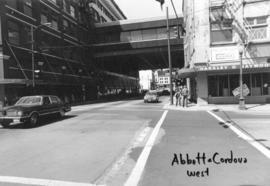 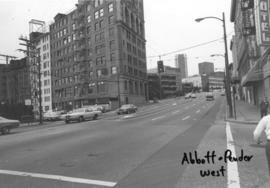 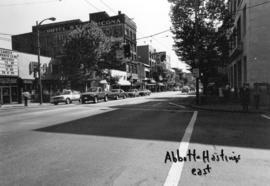 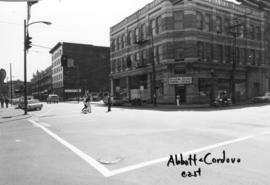 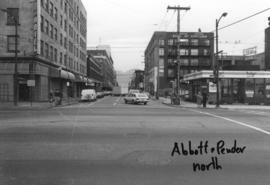 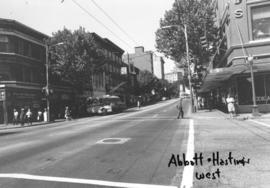 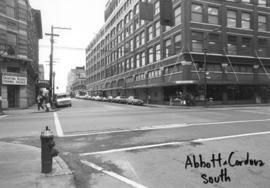 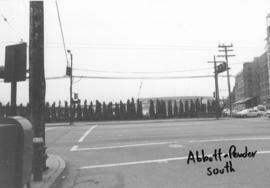 Abbott St. looking north from Hastings St.